For additional information about this book, visit the website DoubleiLLC.com. Instrument Flying offers fresh insight into—and distinct ways to remember—10 specific principles designed to calibrate your thinking and lead to safer, better-managed, and less stressful flights. Validated by a cadre of distinguished instructors and pilots, these principles are indispensable given today’s multifaceted instrument settings. Learning and practicing them will help yield more positive, productive, and purposeful flight experiences for you, your passengers, and your fellow aviators. 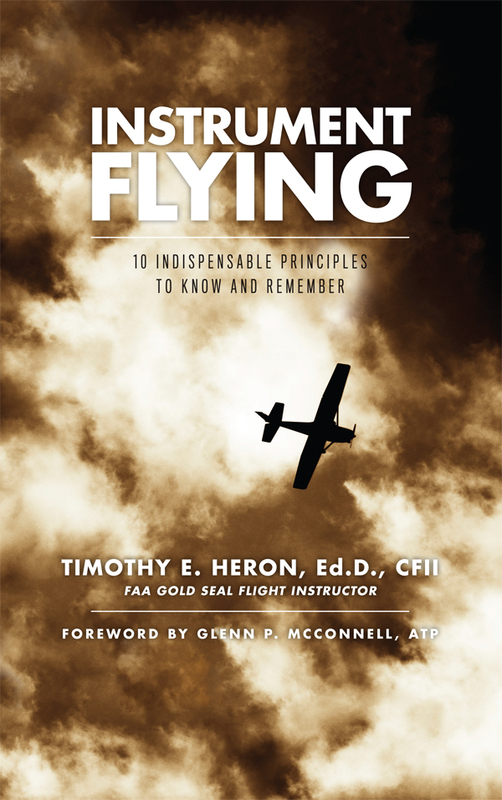 My goal in writing this book was to provide 10 indispensable principles for instrument and IFR flying. Supported by the input of a cadre of distinguished instrument instructors and pilots, I have outlined these principles — and techniques to remember them – because I believe they are critical to ensuring your instrument flights are positive and safe experiences for you and your passengers. Further, I believe you will improve as an instrument pilot if you use these guiding principles as the foundation for your flights. I have been fortunate to fly with, and to have been in the company of, scores of instrument pilots and instrument instructors who abide by the principles detailed in this book. I wish you the same good fortune. It will change your life forever, and affect the way you approach instrument flying and IFR aviation. Dr. Timothy E. Heron has been an educator his entire forty-three-year professional career. He is Professor Emeritus of Special Education at The Ohio State University. Also, he is a retired flight instructor and stage check pilot at OSU’s Flight Education Department and an active instrument instructor with Capital City Aviation in Columbus, Ohio. Tim is a certificated commercial pilot–airplane single engine land, along with being a certified flight instructor–airplane single engine, and instrument airplane. He holds ground instructor and advanced ground instructor certificates. In 2009, Tim received the National Association of Flight Instructor’s (NAFI) designation as a master certified flight instructor, and the FAA’s designation as a Gold Seal Flight Instructor. Tim has been flying since 1970. He became a CFI in 2001 and a CFII in 2002. He has logged 2,850 total hours of flight time, 1,175 hours of dual instruction, and has been co-owner of a Cessna 182 for over twenty-four years.